The announcement that BOSER might cause a fatal human disease "Creutzfeldt- Jacob disease CJD" triggered enormous media attention, public alarm and government wrangling that threatened the future of European integration. ; As Scott Ratzan argues: "It is my belief that the [BOSER crisis] represents a quintessential case that will go down in history as the Exxon Valdez Union Carbide's Bhopal accident, and other such cases of interdisciplinary study". 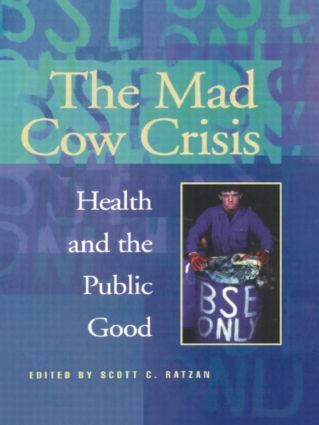 ; This book offers lessons learned from the crisis, with contributions from experts with different viewpoints - veterinarians, Eurocrats, public relations experts, politicians, policy- makers, journalists and representatives of the beef industry. ; It also offers a compilation of the key reports from governmental bodies. as a case-study in policy-making, scientific/health discovery and dissemination of information, as well as looking at the issues from the perspective of psychology and media studies.